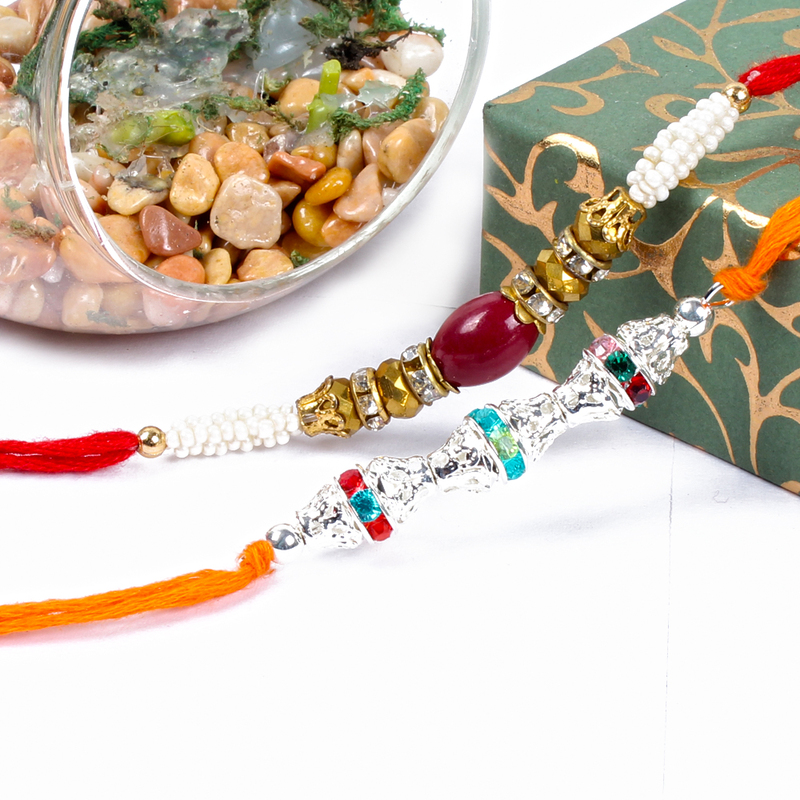 Fashionable Design of 2 Rakhi Threads Made up of fancy crystal Beads, Diamond Studded tiny Rings along with Packet of Roli Chawal. 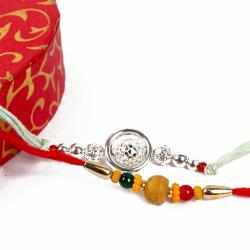 Silver rakhi is one of the rakhi which will attract to your brother wrist and look like a designer Rakhi. 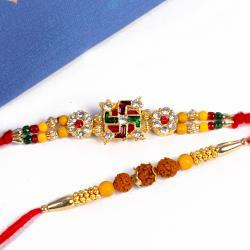 You will fall in love with this amazing Rakhi for your brother on the auspicious occasion of Raksha Bandhan. 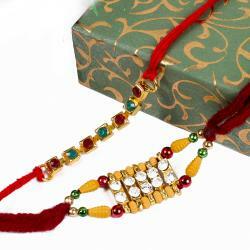 This Rakhi is a fit to be displayed on your brothers wrist with aplomb. 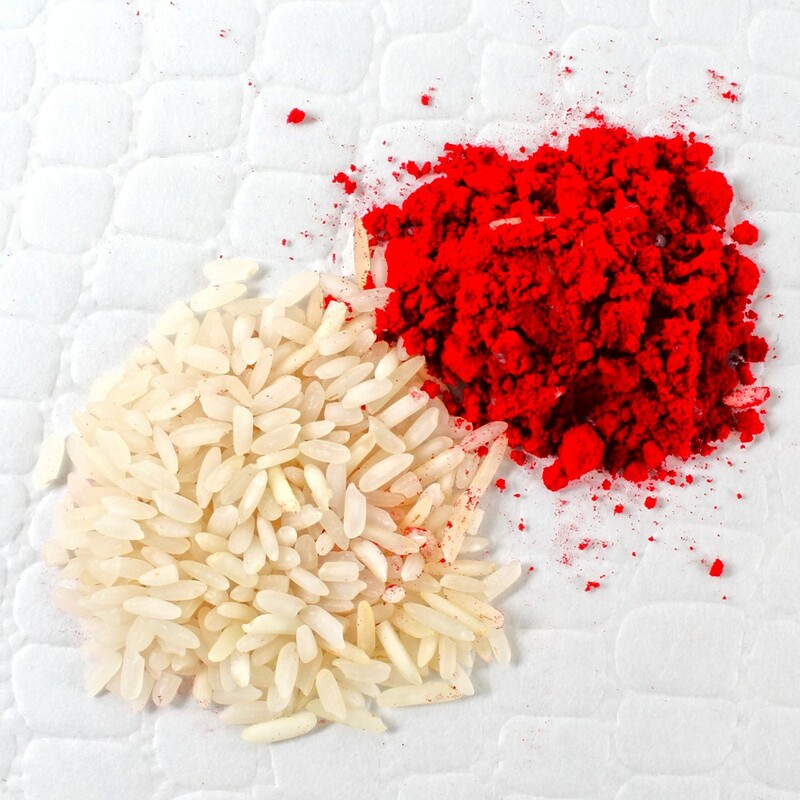 Also contains Roli Chawal which keeps the traditional element alive. Product Includes : Fashionable Design of 2 Rakhi Threads Made up of fancy crystal Beads, Diamond Studded tiny Rings along with Packet of Roli Chawal.